As a woman, you know that your hormones affect virtually every aspect of your health. It probably won’t surprise you, then, to learn that your oral health is no exception. 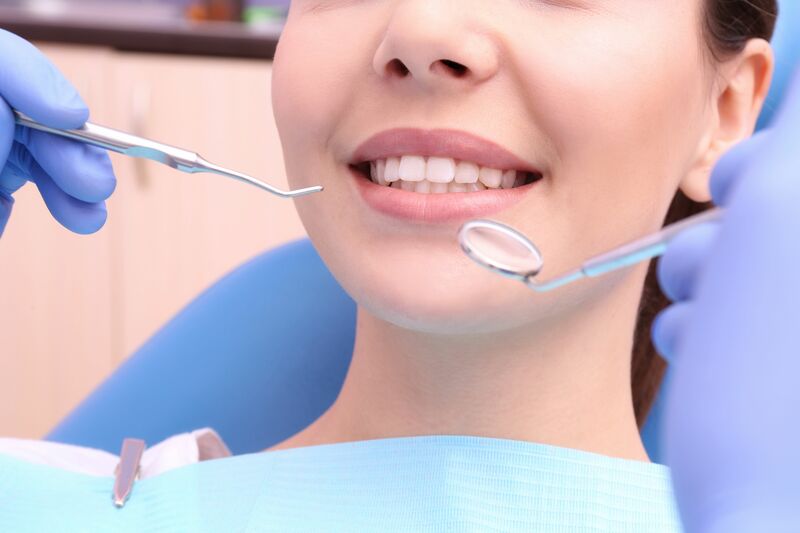 While restorative dentistry offers numerous excellent solutions to repair any damage that is done to the teeth and gums as a result of hormonal changes, it is better to be aware of the impact that hormonal changes can have on dental health in the first place. The fact is that women may be more susceptible to periodontal disease and oral health problems due to hormonal changes, but that they can take proactive measures to prevent serious, long-term consequences from occurring. Dr. Byron W. Wall can discuss hormonal changes and dental health with you during your consultation at his Albuquerque, NM cosmetic, restorative, and general dentistry practice. The more you know about how your overall health and dental health interact with and impact one another, the easier it will be for you to maintain healthy teeth and gums. We encourage you to schedule your initial consultation with Dr. Byron W. Wall at Cosmetic Dentistry of New Mexico today. When Can Hormones Affect a Woman’s Dental Health? Puberty: When a girl first reaches puberty, her gums can become swollen, red, and more susceptible to bleeding. This is due to the fact that the increase in the hormones estrogen and progesterone lead to an increase in the flow of blood to the gums. Daily brushing and flossing, along with regular trips to the dentist, can help young girls to reduce inflammation of the gums, along with discomfort and bleeding. Periods: Some women may notice that their gums become more sensitive and swollen in the days leading up to their periods. They may also develop canker sores. If these symptoms resolve in the days after their periods pass, then they are almost certainly related to hormonal changes; if not, professional dental care should be sought out immediately. Use of birth control pills: It is highly unlikely that the levels of estrogen and progesterone in modern birth control pills will cause inflammation of the gums; however, birth control pills may increase the risk of dry socket among women who have tooth extractions. Pregnancy: Women who are pregnant are at dramatically increased risk of gingivitis, which is why it is extremely important for them to practice excellent oral hygiene habits and visit their dentists during this time. Menopause: In their post-menopausal years, women are at high risk for both dry mouth and jaw bone loss. Dry mouth increases the risk of gum disease and cavities, while the loss of bone density increases the risk of tooth loss. Women can reduce the risk for both conditions by remaining hydrated, not smoking, and avoiding excess consumption of alcohol. To learn more about hormonal changes and dental health, please contact Cosmetic Dentistry of New Mexico today.